14 Speaks: Refugees Forced fro..
50 Years Later: Lessons in Act..
On a sunny autumn Tuesday in the early afternoon, a group of students sat around a table studying in the Latinx Cultural Center. At least 10 students filled the various tables and couches, some quietly studying and some loudly joking or talking about upcoming plans. Hanging around them were the various flags of Latinx countries. 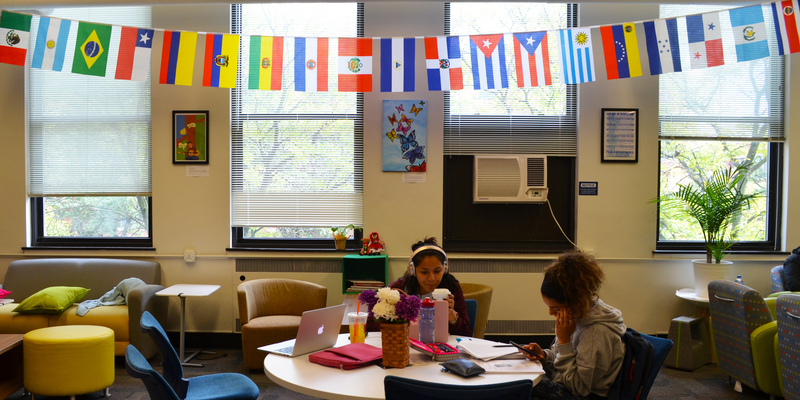 A bright teal poster hung against the orange wall declared “nuestra latinidad,” surrounded by words like diverse, community and Shakira. “Ninety percent of my friends are from these centers. It’s how I meet a lot of new people too,” said Viviana Favela, who was there to hang out and do homework. 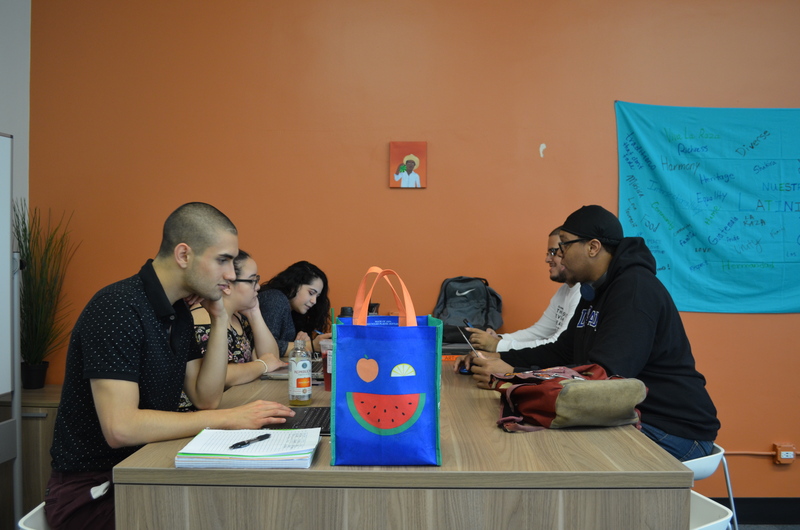 Nearly a year after DePaul’s new Cultural and Resource Centers opened in January 2018, students who work in and use the new spaces have optimistic reviews. Most expressed confidence that the Fall Quarter has seen more improvement in event programming and intersectionality than the last two quarters, but point out that there’s more work to be done. The new Cultural and Resource Centers include the Black Cultural Center, the Latinx Cultural Center, the LGBTQA Resource Center and the Asian Pacific Islander Desi American (APIDA) Center. They operate under the Office of Multicultural Student Success (OMSS) and are located on the third floor of O’Connell Hall in Lincoln Park. 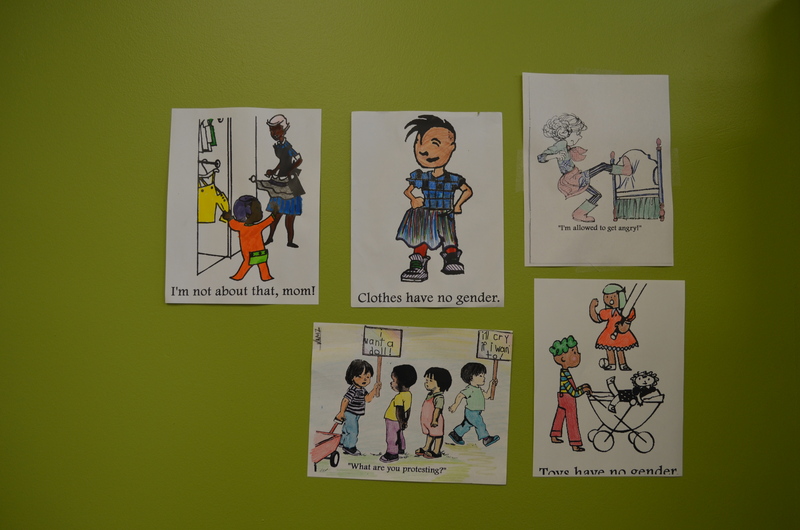 These new centers took the place of the former Center for Identity, Inclusion and Social Change, which was shut down in August 2017 without an immediate replacement. Often referred to just as The Center, its closing faced controversy from both students and staff, as many worried that separate spaces for identities would hinder students’ intersectionality. Intersectionality, rooted in the word intersection or crossing, is understood as the meeting of multiple identities in one person. Many also worried over employment after The Center closed, as some full-time staff were let go and some student positions removed. While the idea for a new Black Cultural Center was advocated for by the Black Student Union, the same students say they worried about DePaul’s intersectionality by closing The Center at the same time. Third-year student Alima Sajwani was previously employed at DePaul’s old Center for Identity, Inclusion and Social Change. They were hired and trained as a SoJA, or Social Justice Advocate, in the spring of 2017 before the university announced The Center would close and separate, identity-specific centers would open. Sajwani now works as a front desk assistant rotating shifts between the various centers. Part of that hope for the upcoming year is the new hire for the APIDA Center. Eva Long will begin as the coordinator for the center starting Monday, Oct. 1, said Johnny LaSalle, the intersectional programming coordinator who oversees all four centers. “As someone who identifies with that [center] I was waiting all of last year for a coordinator,” Sajwani said. LaSalle said the separate centers mostly work together through programming, and that the various coordinators are continuing to work on their intersectionality. “At this point in time we are looking to assess and continue to develop and dream of what intersectionality implementation could continue to look like,” LaSalle said in an email. The three current Cultural and Resource Center coordinators could not be reached for comment. Maintaining intersectionality was one of the major concerns in shifting from the old Center to the new centers. And while current student employees say that conversation is on the table, some still feel like true intersectionality is impossible within the current system. That was the attitude held by a lot of students as what was formerly The Center closed. Yet the new Cultural and Resource Centers have still attracted some new transfer and first-year students. Eemanna Rivers is a second-year transfer student from Loyola University New Orleans, who began working as a front desk assistant with the new centers when they first opened in Winter Quarter 2018. She had no connection to the old Center, and while she said that DePaul’s Cultural and Resource Centers offer more than other universities, she also understands the benefits of the old Center. Rivers thinks DePaul should look for a middle ground, with the best parts of the old Center and the new centers. She sees power in both spaces. But even since January, Rivers said she’s also seen improvement in the intersectionality of the new centers. She said the discussion is on the table, and there are steps such as event programming and rotating front desk shifts between centers to strengthen that intersectionality. But she and others also recognize they have to work within the structure they’re given. Both Rivers and Sajwani pointed out that the Cultural and Resource Centers don’t have a space for Indigenous people. They said that when you separate out identities rather than have one space for all marginalized identities, students end up feeling hesitant to join specific spaces if it doesn’t directly apply to their identity. That wasn’t an issue in the old Center for Identity, Inclusion and Social Change since it was all one space, Sajwani said. However, the centers do fill voids for those who otherwise might not have designated spaces where they feel welcome on campus. Reynaldo Santamaria, a front desk assistant, said a lot of commuters spend more time there in Lincoln Park. He said it’s a good multipurpose space, too. Students might take a nap, hold meetings, play video games or other activities. And now that the centers have settled in, they’ve seen an uptick in people using them. Students in the Latinx Cultural Center said they’ve bonded with staff, too. They’re also chatting with the maintenance workers who come around, and were planning to all pitch in and get her a necklace to show their appreciation.